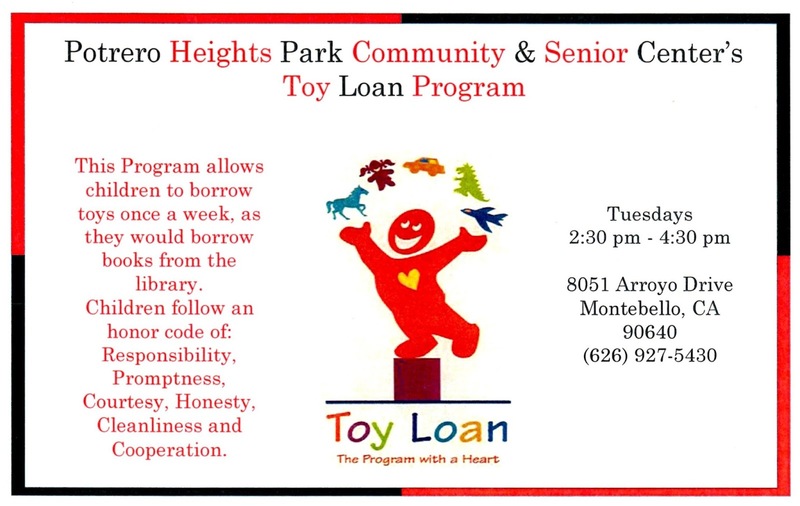 The Los Angeles County Department of Social Services has expanded it's Toy Loan program to Montebello at the new Community Center at Potrero Heights Park, 8051 Arroyo Drive. 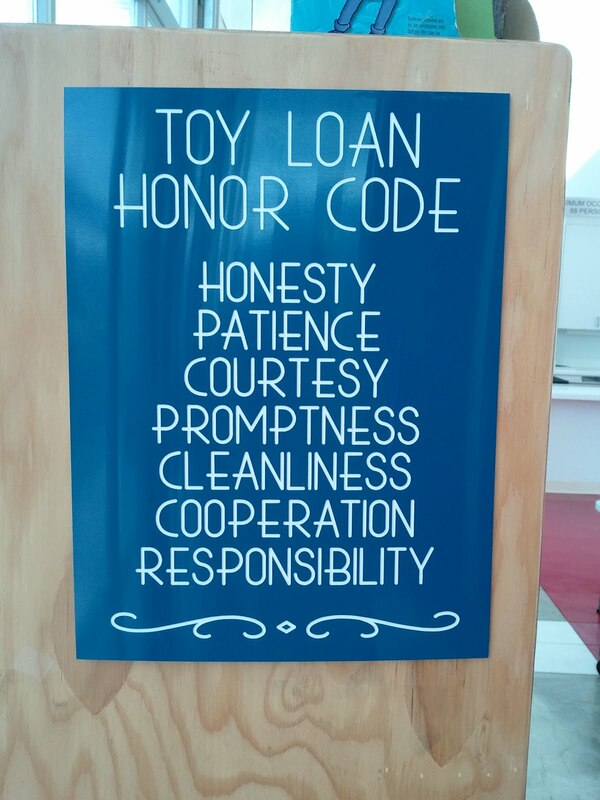 The Toy Loan program works similar to that of a library. Children ages 3 and up are allowed to borrow one toy for a week. Children return the toy and after five, ten, fifteen, and twenty weeks of satisfactory returns the child is given a brand new toy to take home and keep. 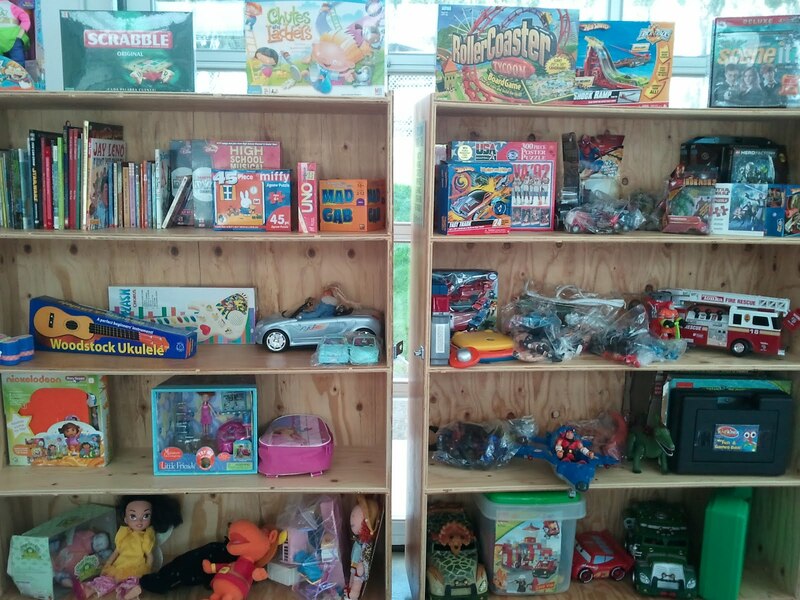 The Toy Loan center is open on Tuesdays from 2:30-4:30. Children must be accompanied by a parent to sign up for the program. When children return toys their card is marked Satisfactory or Unsatisfactory. Pico Rivera has a Toy Loan center at Pico Park. Click below for times and more information. Click here for a complete list of Toy Loan centers. This is great. 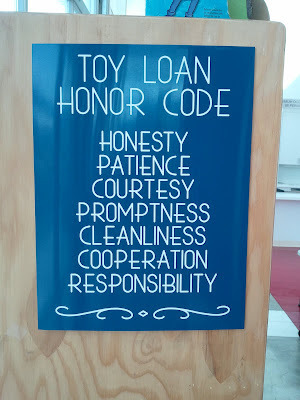 I'll inquire if they accept donations... Love the concept of teaching my child about borrowing and helping out other kids that could really benefit from borrowing educational toys.